*This column was originally published in The Inkwell and on its website. Over the last year, the NCAA has been hit with negative media on athletes’ compensation and what exactly constitutes amateurism. On Saturday, football players from Georgia, Georgia Tech and Northwestern wrote three letters on their wrists to support their fellow athletes and demand change. “APU” was written on players’ wrist tape, which stood for “All Players United.” It was a simple yet powerful message. Players are always writing motivational words on their wrists, their favorite bible quotes or an R.I.P. remembrance. This time, the message was in demand of change. The protest was organized by the National College Players Association and the plan had been in place for weeks through conference calls. These players certainly deserve some praise. Athletes have every right to try to get their voices heard at the hypocritical multi-billion dollar organizations that supposedly have their best interest in mind. Unfortunately, the impact of the protest was minimal, because precision was lacking. Most people didn’t even know what “APU” meant, that anybody was doing this or what they were protesting. 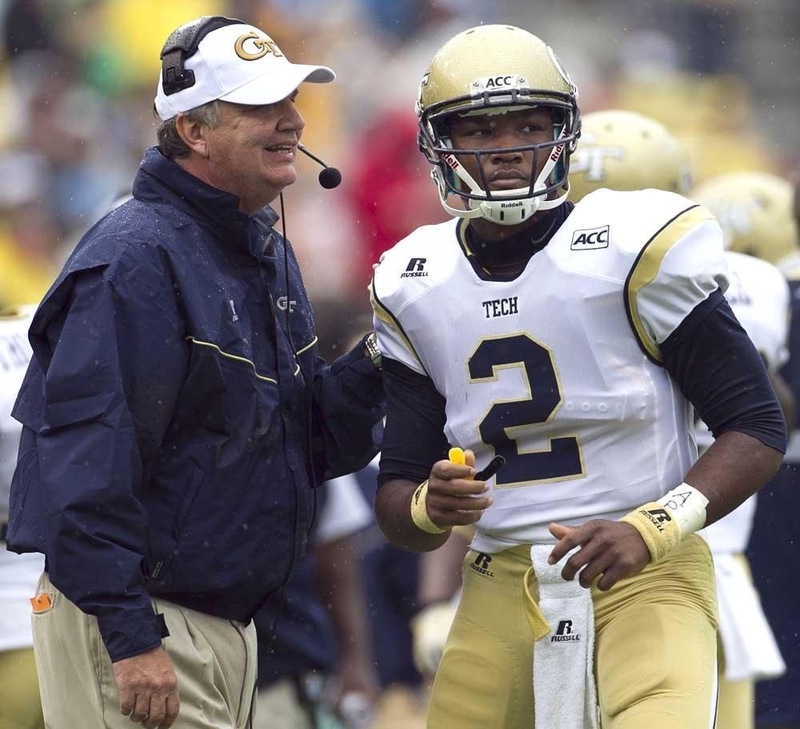 Georgia Tech head coach Paul Johnson and Georgia head coach Mark Richt knew nothing about this. And yes, that is part of the idea here, but when you want actual results, your voice needs to be heard much louder ahead of time. The NCPA presented a press release, but not a significant enough one at all, especially when the organization is not a well-known one. This all starts with the players. Georgia is the most respected team out of the three who had representatives wearing the “APU” statement, but the five Georgia Bulldogs wearing the letters were five linemen, which is not the most high profile position in football. If quarterback Aaron Murray or running backs Keith Marshall and Todd Gurley had donned the letters, the acknowledgement would have been much greater. Murray has 97,369 followers on Twitter. The way athletes use Twitter like it’s one of the essentials of life, Murray would have been heard loud and clear if he put a message on the social media outlet about “APU.” Imagine if Murray tweeted “We of the APU encourage everyone to join our cause. We want players of all sports to unite for NCAA protection and have fair rules #APU.” That is 136 characters of strong words that would be favorited, quoted and retweeted by thousands of people. There’s even room for some corny little emoji. Now imagine if AJ McCarron (186,545 followers), De’Anthony Thomas (62,316 followers), Braxton Miller (82,293 followers) or of course Johnny Manziel (579,397 followers) tweeted out the same message. The only problem would be with Manziel, because people would find a way to make “APU” mean “Always Pay Up” for Johnny Football. Demonstrate unity among college athletes and fans from different campuses seeking NCAA reform. Show support for the players who joined concussion lawsuits against the NCAA, which could force the NCAA to finally take meaningful steps to minimize brain trauma in contact sports and provide resources for current and former players suffering with brain injuries. Show support for the players who stepped up in the O’Bannon v. NCAA, EA Sports lawsuit regarding the use of players images/likeliness, which could unlock billions of dollars in resources for current, future, and former players. Stand behind individual players being harmed by NCAA rules. Direct a portion of over $1 billion in new TV revenue to guarantee basic protections: Guarantee scholarship renewals for permanently injured players; Ensure injured players are not stuck with sports-related medical bills; Increase scholarships $3-5k to cover the full cost of attendance; Minimize brain trauma in contact sports; Establish an educational lockbox (trust fund) to increase graduation rates. All of this is great and dandy, but nobody knew that these were the goals of the campaign. The NCPA should not be bashed for their idea, but for their flawed attempt of getting their voice heard. Writing “APU” on your wrist is one thing, but it did not change anything and more importantly it did nothing to change the NCAA’s economic presence. Right now, if players want real change across collegiate sports a real protest needs to happen. Imagine if Georgia was playing LSU and instead of going out for the coin flip, players went hand-in-hand on the sidelines, refusing to start the game. Sure, players would eventually play, but if two of the best teams in the nation performed their own sit-in, the reaction and acknowledgement would be magnified compared to writing three letters on your wrist. The hope is obviously that a big stance like that would never happen, but the way the NCAA works, this may have to happen. Fans need to make a stance as well, which could be just as effective. Without the fans buying the merchandise and going to the games, the money burns away. Fans are sick of conference realignment, money scandals popping up everywhere and all the lawsuits. However, the fans have a bigger impact than they realize. These problems seem to be thrown in the trash and stand still in time every Saturday as football stadiums are packed. Fans seem to be in the favor of the athletes for the most part. They need to send letters to NCAA President Mark Emmert and form their own kind of protest and make the changes needed by affecting the economic process of the NCAA. The goal is for changes to be made before any of these revolts happen. Players and fans both want college football to live on. If Mark Emmert continues to be Mark Emmert, a firm stance will need to happen, and one much bigger than “APU” written on wrists.